In order to meet Welsh Government requirements for planning application searches Powys County Council required their Section 31(6) deposits to be available as digital data. Exegesis SDM were contracted to create a digital layer and associated scanned deposit documents. Each of the statements and statutory declaration documents relating to a Section 31(6) Deposit was scanned into a separate PDF document. The boundary of each deposit was then digitised, with multiple boundaries created if the boundary changed between statements / statutory declarations. 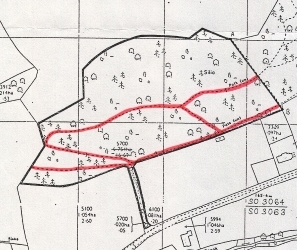 The digitised boundaries were then linked to the associated attribute data to produce a digital layer so that Powys staff can undertake spatial searches to check whether a planning application is affected by Section 31(6) deposits.